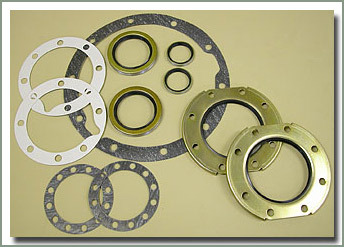 These are the gaskets & seals that you will need when you install or service a Full Floating Rear Axle. 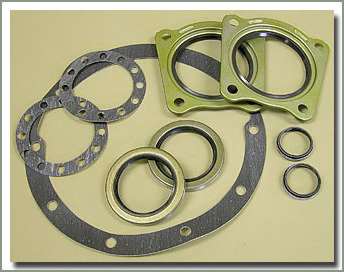 Kit comes with differential gasket, hub gaskets, both axle seals. One kit does both sides. 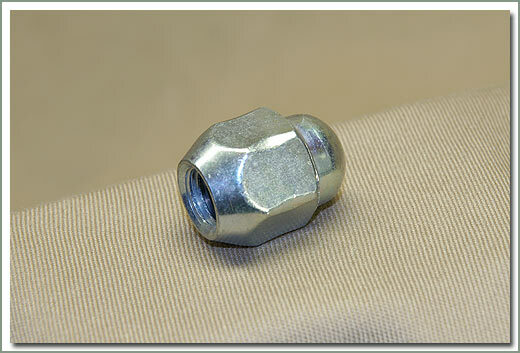 Comes with cone, washer, nut & stud. 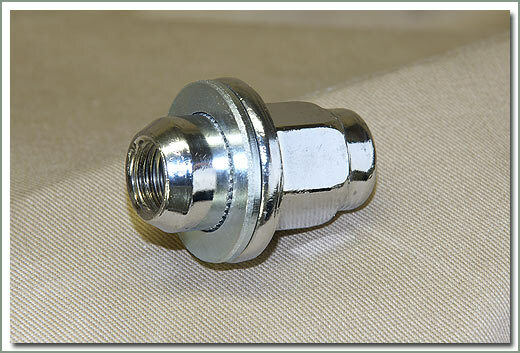 Fits 9/75-1/79 Full Float axles. 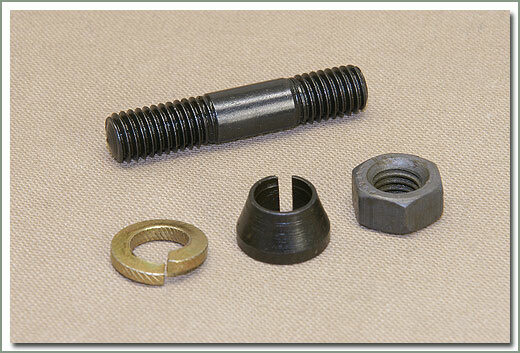 Kit includes studs, cones, nuts, locating pins, gaskets and seals to install a full float axle into your wheel hub. Kit does one side. 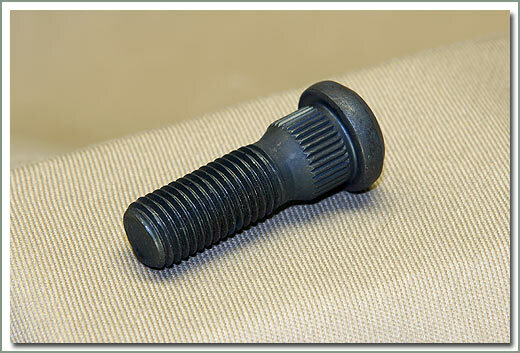 Fits 1/79-8/99 Full Float axles. 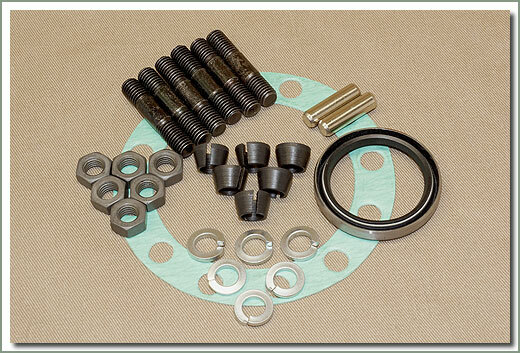 Kit includes studs, cones, nuts, locating pins, gaskets and seals to install a full float axle into your wheel hub. Kit does one side. 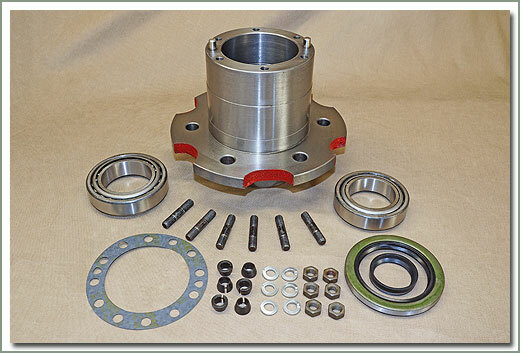 Used Full Floating Rear Axle Assembly This is a hub to hub assembly minus the 3rd member and brake components. These units are straight take outs. 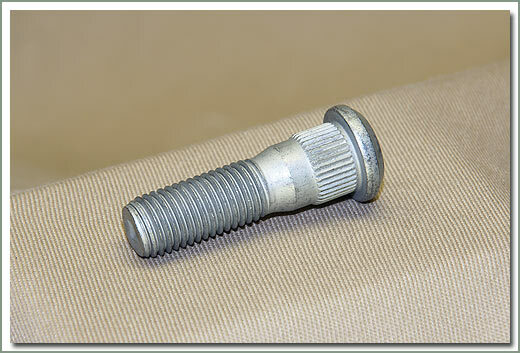 You will need to reuse your differential and brake components. 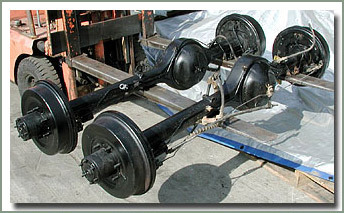 These axle assemblies are configured to replace the original axle on the years listed. 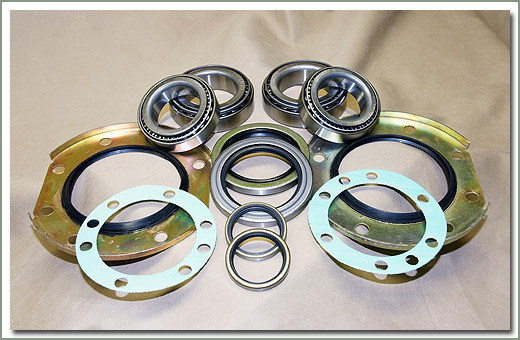 If you are modifying or customizing your brake system or installing these axles into different year or model vehicle we strongly suggest CALLING US for additional information. 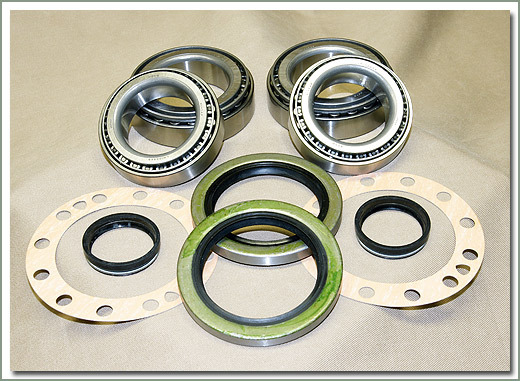 If you are planning on replacing the rear axle bearings on your Full Float Land Cruiser Axle you can now order all the necessary parts using one part number. 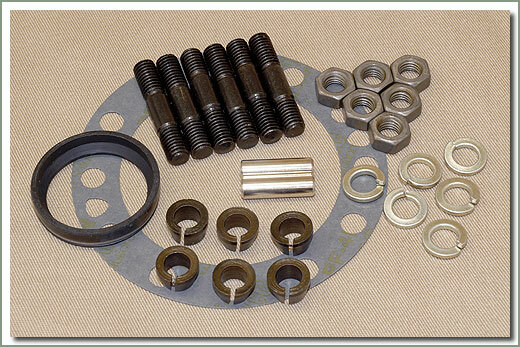 Kit contains inner and outer wheel bearings, wheel seals, lock tabs, and hub gaskets. One kit does both sides. 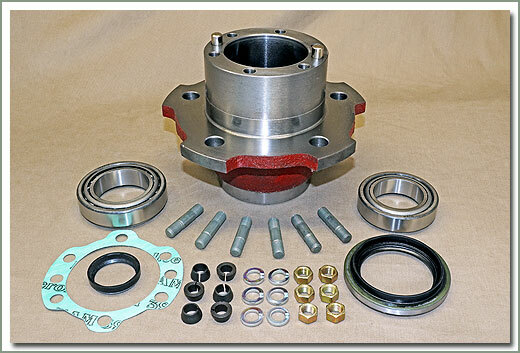 NON-USA Diff Lock Axle Housing- fits 1/90-8/92 FJ80,HDJ80, HZJ80,GX,VX - Must be shipped by truck. 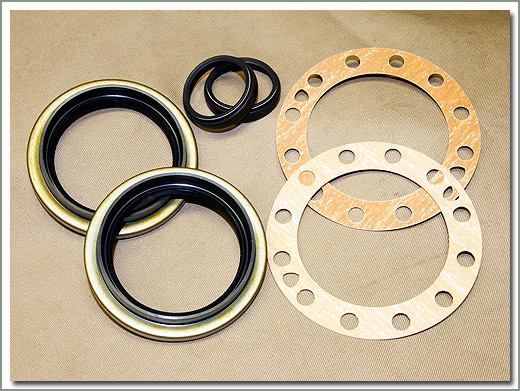 Fits 8/92-1/98 FZJ80 full floating rear axle - Comes with hub gaskets and both axle seals - One kit does both sides - 090-41 differential gasket must be ordered separately. 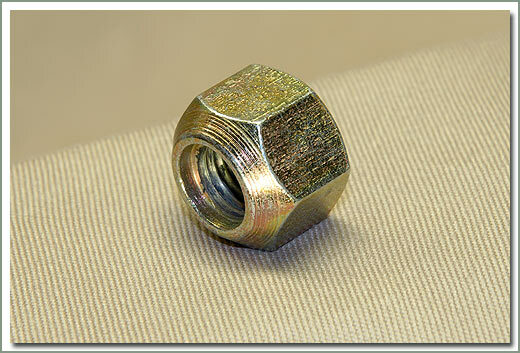 4.11 gear ratio. 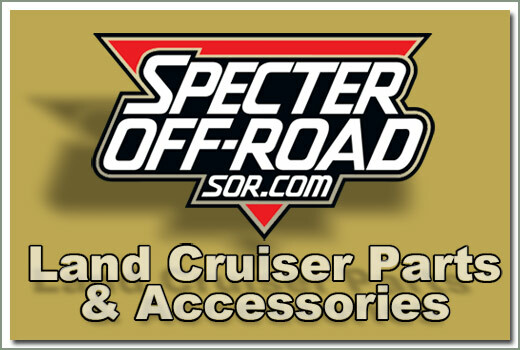 Will fit any 1/90-1998 80 series with full floating axle housing. 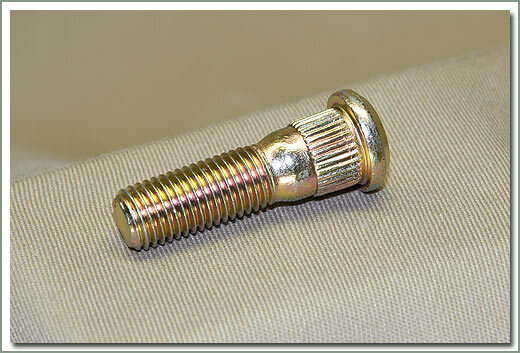 Has round flange, can be redrilled to fit your pattern. The advantage of having a full float rear axle over a semi-float is that the full float has two bearings at the end of the axles instead of only one. 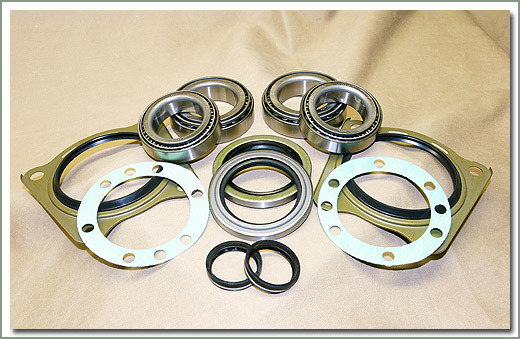 The two bearings have a higher load capacity than the single bearing, & also prevent the wheel from falling off if the axle breaks. The full float that fits your Land Cruiser has the same specifications as the 45 & 47 Series 1 ton Pickup, while the 60 Series full float rear axles have the same load capacity as the 45 & 47 Series 1 ton Pickups. 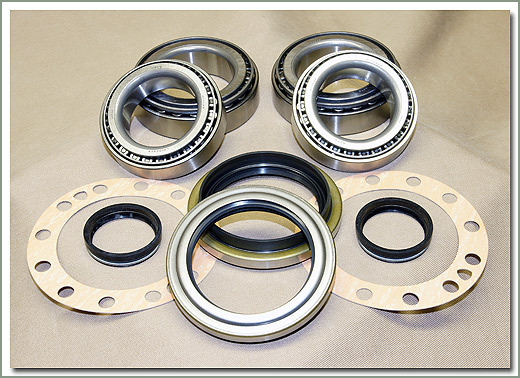 Not to mention, the 1976-1990 front inner & outer bearings are the same as the full float rear ends, this means that the bearings are standard from the left to right & front to back wheels. Ponder this: Does this mean that you have a 1 ton front end? For you V-8 guys who insist on busting up those differentials, you should consider upgrading those semi-float axles to full float axles. With full floats, if you break the axle, just pull it out & remove the driveshaft and it becomes a 1 ton trailer axle!